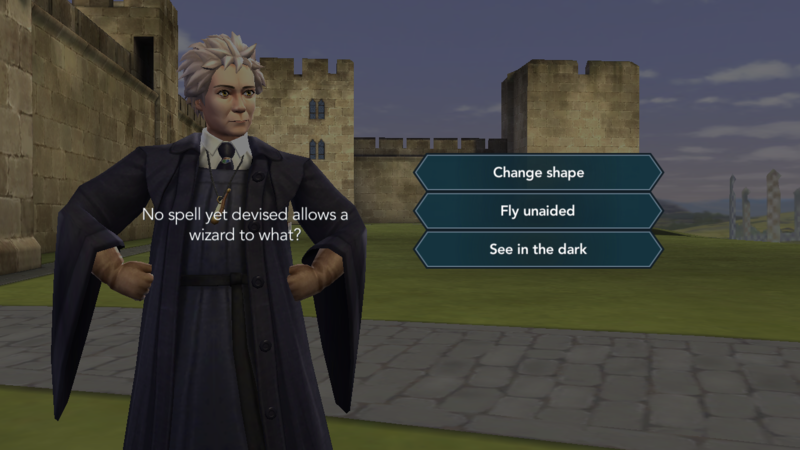 Harry Potter Hogwarts Mystery is available to download on Android and iOS now, and has been for a few weeks. 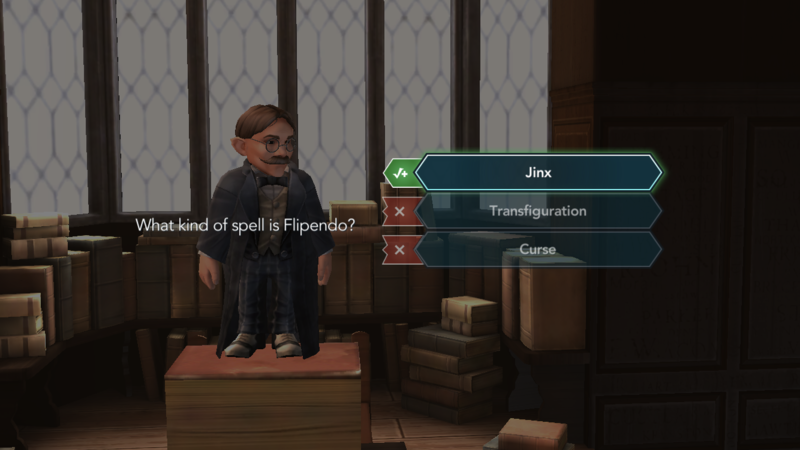 In the game you create your own student at Hogwarts and learn spells, make potions and make friends and rivals – all the while solving the mystery of the Cursed Vaults and what happened to your sibling. As you make your way through school life and participate in lessons, teachers will sometimes ask you questions where the answers aren’t always obvious. 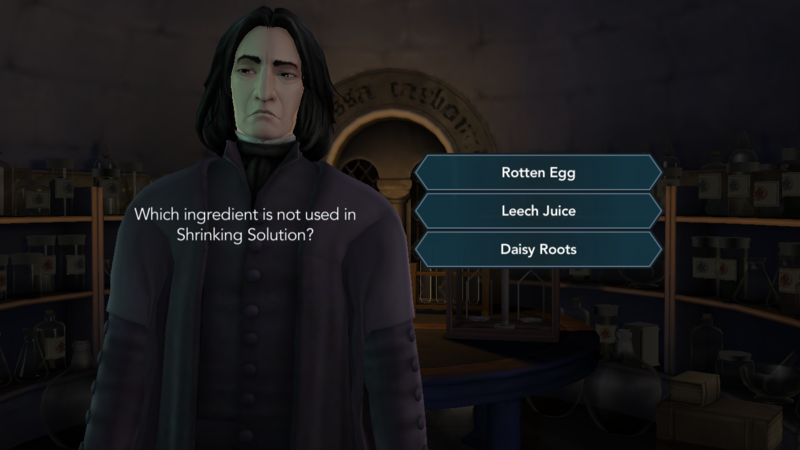 Here is the answer to every lesson question we’ve found so far in Harry Potter Hogwarts Mystery. What does the lumos charm provide? What are your favourite books? This is the best answer. Did you hear something? Is the second best answer. Let’s talk about Wand wood – Is the best answer. I think it’s distracting – This is the second best answer. Let’s bunk off school – This is the best answer. Let’s get distracted instead – Is the second best answer. The library burned down – Is the best answer. Snape is a vampire – This is the second best answer. Which ingredient is not used in Shrinking Solution? I’ve heard voices before – This is the best answer. I don’t think so – Is the second best answer. That’s why I need your help – Is the best answer. I’ll be fine – This is the second best answer. With knowledge and friendship – Is the best answer. By keeping it secret – This is the second best answer. Or a clue. Maybe both… – Is the best answer. I’m not sure – This is the second best answer. Everyone feels afraid sometimes – Is the best answer. You’ll get used to it – This is the second best answer. We’ll keep each other safe – Is the best answer. They’re better at hiding it – This is the second best answer. You’re braver than you know – Is the best answer. 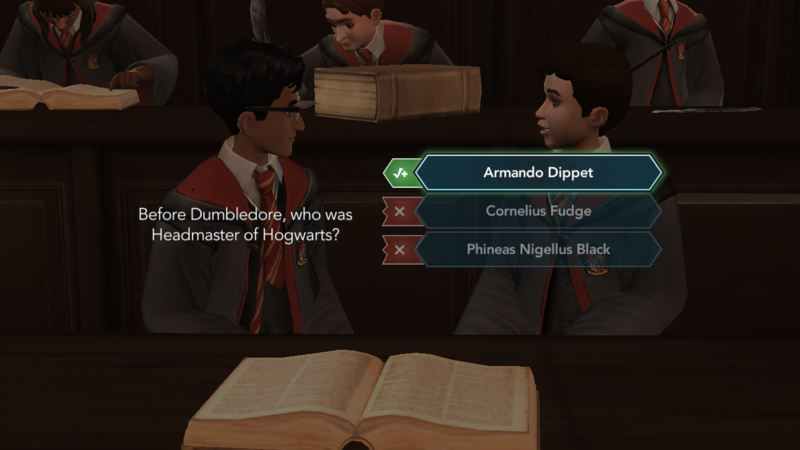 You have to trust the Sorting Hat – This is the second best answer. You belong at Hogwarts – Is the best answer. You can go back for the holidays – This is the second best answer. Which of these spells can summon an object? We Won’t. We’ll be prepared – Is the best answer. I’ll take the blame – This is the second best answer. You’ll work out a brilliant plan – Is the best answer. We’ll try to avoid him – This is the second best answer. We’ll break the curse – Is the best answer. We’ll do our best to survive – This is the second best answer. I need your help, Rowan – Is the best answer. I’m sure. Just follow my lead – This is the second best answer. Catching what object ends a Quiddich match? In addition to teaching Flying lessons, what is Madam Hooch’s other job? You’re my friend – Is the best answer. You’re gifted at Charms – This is the second best answer. I’m afraid too, Ben – Is the best answer. You have to face your fears – This is the second best answer. We won’t, I promise – Is the best answer. I’ll take the blame – This is the second best answer. We’ll protect each other – Is the best answer. I’ll do my best – This is the second best answer. I believe in my friends – Is the best answer. I put a lot of thought into it – This is the second best answer. We need a Sleeping Draught – Is the best answer. She’s just a cat – This is the second best answer. We can break the curse – Is the best answer. We’ll try not to touch it – This is the second best answer. A statue of what creature marks the entrance to the Headmaster’s Office? 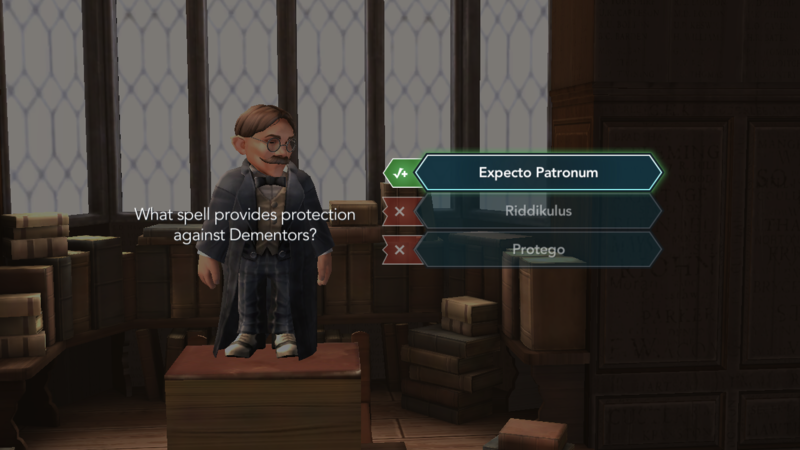 What spell provides protection against Dementors? If you cast Engorgio on someone’s mouth, their teeth would be what? Mimbulus mimbletonia secretes what substance? Don’t worry. We’ll find him – Is the best answer. Dumbledore might find him – This is the second best answer. You’re just worried. We all are – Is the best answer. It’s only a feeling – This is the second best answer. We’ll do everything we can – Is the best answer. I’m sure he’s okay – This is the second best answer. We’re playing through the game at the same time as you, so we don’t have answers for every question in the game just yet. We’ll be updating this guide regularly as we get further and find more. Additionally, if you’re stuck on a question we don’t have yet, tell us down in the comments and we’ll add it as soon as possible.